In addition to being regulated by the Fair Debt Collection Practices Act (FDCPA), Washington collection agencies are also regulated by Washington debt collection laws. Discover: Washington collection requirements, bad check laws (NSF), statutes of limitations for both debts and judgments, garnishments plus Washington collection agency license and bonding information. Lesser of check amount or 12% interest, collection costs up to $40. If taken to court, reasonable attorney’s fees, 3 x value, or up to $300. Now have 6 years to enforce a bad check. Greater of 75% or $64 wk. |40 x state min. hourly wage|. Exemption for out-of-state collectors: Contact state authorities. Out-of-state agencies may qualify for lesser licensing fees. Out-of-state collectors are no longer required to have resident office and instate trust accounts if they don’t have instate client. Bond is not required if held in home state. (1) “Person” includes individual, firm, partnership, trust, joint venture, association, or corporation. (c) Any person who in attempting to collect or in collecting his or her own claim uses a fictitious name or any name other than his or her own which would indicate to the debtor that a third person is collecting or attempting to collect such claim. (f) Any person while acting as a debt collector for another person, both of whom are related by common ownership or affiliated by corporate control, if the person acting as a debt collector does so only for persons to whom it is so related or affiliated and if the principal business of the person is not the collection of debts. (6) “Statement of account” means a report setting forth only amounts billed, invoices, credits allowed, or aged balance due. (7) “Director” means the director of licensing. (8) “Client” or “customer” means any person authorizing or employing a collection agency to collect a claim. (9) “Licensee” means any person licensed under this chapter. (10) “Board” means the Washington state collection agency board. No person shall act, assume to act, or advertise as a collection agency or out-of-state collection agency as defined in this chapter, except as authorized by this chapter, without first having applied for and obtained a license from the director. Nothing contained in this section shall be construed to require a regular employee of a collection agency or out-of-state collection agency duly licensed under this chapter to procure a collection agency license. Unprofessional conduct — Support order, noncompliance. (1) If an individual applicant or licensee is less than eighteen years of age or is not a resident of this state. (2) If an applicant or licensee is not authorized to do business in this state. (3) If the application or renewal forms required by this chapter are incomplete, fees required under RCW 19.16.140 and 19.16.150, if applicable, have not been paid, and the surety bond or cash deposit or other negotiable security acceptable to the director required by RCW 19.16.190, if applicable, has not been filed or renewed or is canceled. (h) Has been found by a court of competent jurisdiction to have violated the federal fair debt collection practices act, 15 U.S.C. Sec. 1692 et seq., or the Washington state consumer protection act, chapter 19.86 RCW, and two years have not elapsed since that finding. Except as otherwise provided in this section, any person who is engaged in the collection agency business as of January 1, 1972, shall, upon filing the application, paying the fees, and filing the surety bond or cash deposit or other negotiable security in lieu of bond required by this chapter, be issued a license under this chapter. The director shall immediately suspend the license or certificate of a person who has been certified pursuant to RCW 74.20A.320 by the department of social and health services as a person who is not in compliance with a support order. If the person has continued to meet all other requirements for reinstatement during the suspension, reissuance of the license or certificate shall be automatic upon the director’s receipt of a release issued by the department of social and health services stating that the licensee is in compliance with the order. License — Application — Form — Contents. Every application for a license shall be in writing, under oath, and in the form prescribed by the director. Every application shall contain such relevant information as the director may require. The applicant shall furnish the director with such evidence as the director may reasonably require to establish that the requirements and qualifications for a licensee have been fulfilled by the applicant. Every application for a license shall state, among other things that may be required, the name of the applicant with the name under which the applicant will do business and the location by street and number, city and state of each office of the business for which the license is sought. License — Application — Fees — Exemptions. Each applicant when submitting his application shall pay a licensing fee and an investigation fee determined by the director as provided in RCW 43.24.086. The licensing fee for an out-of-state collection agency shall not exceed fifty percent of the licensing fee for a collection agency. An out-of-state collection agency is exempt from the licensing fee if the agency is licensed or registered in a state that does not require payment of an initial fee by any person who collects debts in the state only by means of interstate communications from the person’s location in another state. If a license is not issued in response to the application, the license fee shall be returned to the applicant. An annual license fee determined by the director as provided in RCW 43.24.086 shall be paid to the director on or before January first of each year. The annual license fee for an out-of-state collection agency shall not exceed fifty percent of the annual license fee for a collection agency. An out-of-state collection agency is exempt from the annual license fee if the agency is licensed or registered in a state that does not require payment of an annual fee by any person who collects debts in the state only by means of interstate communications from the person’s location in another state. If the annual license fee is not paid on or before January first, the licensee shall be assessed a penalty for late payment in an amount determined by the director as provided in RCW 43.24.086. If the fee and penalty are not paid by January thirty-first, it will be necessary for the licensee to submit a new application for a license: PROVIDED, That no license shall be issued upon such new application unless and until all fees and penalties previously accrued under this section have been paid. Any license or branch office certificate issued under the provisions of this chapter shall expire on December thirty-first following the issuance thereof. If a licensee maintains a branch office, he or it shall not operate a collection agency business in such branch office until he or it has secured a branch office certificate therefor from the director. A licensee, so long as his or its license is in full force and effect and in good standing, shall be entitled to branch office certificates for any branch office operated by such licensee upon payment of the fee therefor provided in this chapter. Each licensee when applying for a branch office certificate shall pay a fee determined by the director as provided in RCW 43.24.086. An annual fee determined by the director as provided in RCW 43.24.086 for a branch office certificate shall be paid to the director on or before January first of each year. If the annual fee is not paid on or before January first, a penalty for late payment in an amount determined by the director as provided in RCW 43.24.086 shall be assessed. If the fee and the penalty are not paid by January thirty-first, it will be necessary for the licensee to apply for a new branch office certificate: PROVIDED, That no such new branch office certificate shall be issued unless and until all fees and penalties previously accrued under this section have been paid. License and branch office certificate — Form — Contents — Display. (4) The number and expiration date of the license or branch office certificate. A licensee shall display his or its license in a conspicuous place in his or its principal place of business and, if he or it conducts a branch office, the branch office certificate shall be conspicuously displayed in the branch office. Concurrently with or prior to engaging in any activity as a collection agency, as defined in this chapter, any person shall furnish to his or its client or customer the number indicated on the collection agency license issued to him pursuant to this section. Procedure upon change of name or business location. Whenever a licensee shall contemplate a change of his or its trade name or a change in the location of his or its principal place of business or branch office, he or it shall give written notice of such proposed change to the director. The director shall approve the proposed change and issue a new license or a branch office certificate, as the case may be, reflecting the change. Assignability of license or branch office certificate. (1) Except as provided in subsection (2) of this section, a license or branch office certificate granted under this chapter is not assignable or transferable. (2) Upon the death of an individual licensee, the director shall have the right to transfer the license and any branch office certificate of the decedent to the personal representative of his estate for the period of the unexpired term of the license and such additional time, not to exceed one year from the date of death of the licensee, as said personal representative may need in order to settle the deceased’s estate or sell the collection agency. Surety bond requirements — Cash deposit or securities — Exception. (1) Except as limited by subsection (7) of this section, each applicant shall, at the time of applying for a license, file with the director a surety bond in the sum of five thousand dollars. The bond shall be annually renewable on January first of each year, shall be approved by the director as to form and content, and shall be executed by the applicant as principal and by a surety company authorized to do business in this state as surety. Such bond shall run to the state of Washington as obligee for the benefit of the state and conditioned that the licensee shall faithfully and truly perform all agreements entered into with the licensee’s clients or customers and shall, within thirty days after the close of each calendar month, account to and pay to his client or customer the net proceeds of all collections made during the preceding calendar month and due to each client or customer less any offsets due licensee under RCW 19.16.210 and 19.16.220. The bond required by this section shall remain in effect until canceled by action of the surety or the licensee or the director. (2) An applicant for a license under this chapter may furnish, file, and deposit with the director, in lieu of the surety bond provided for herein, a cash deposit or other negotiable security acceptable to the director. The security deposited with the director in lieu of the surety bond shall be returned to the licensee at the expiration of one year after the collection agency’s license has expired or been revoked if no legal action has been instituted against the licensee or on said security deposit at the expiration of said one year. (3) A surety may file with the director notice of his or its withdrawal on the bond of the licensee. Upon filing a new bond or upon the revocation of the collection agency license or upon the expiration of sixty days after the filing of notice of withdrawal as surety by the surety, the liability of the former surety for all future acts of the licensee shall terminate. (4) The director shall immediately cancel the bond given by a surety company upon being advised that the surety company’s license to transact business in this state has been revoked. (5) Upon the filing with the director of notice by a surety of his withdrawal as the surety on the bond of a licensee or upon the cancellation by the director of the bond of a surety as provided in this section, the director shall immediately give notice to the licensee of the withdrawal or cancellation. The notice shall be sent to the licensee by registered or certified mail with request for a return receipt and addressed to the licensee at his or its main office as shown by the records of the director. At the expiration of thirty days from the date of mailing the notice, the license of the licensee shall be terminated, unless the licensee has filed a new bond with a surety satisfactory to the director. (6) All bonds given under this chapter shall be filed and held in the office of the director. (7) An out-of-state collection agency need not fulfill the bonding requirements under this section if the out-of-state collection agency maintains an adequate bond or legal alternative as required by the state in which the out-of-state collection agency is located. Action on bond, cash deposit or securities. In addition to all other legal remedies, an action may be brought in any court of competent jurisdiction upon the bond or cash deposit or security in lieu thereof, required by RCW 19.16.190, by any person to whom the licensee fails to account and pay as set forth in such bond or by any client or customer of the licensee who has been damaged by failure of the licensee to comply with all agreements entered into with such client or customer: PROVIDED, That the aggregate liability of the surety to all such clients or customers shall in no event exceed the sum of such bond. An action upon such bond or security shall be commenced by serving and filing of the complaint within one year from the date of the cancellation of the bond or, in the case of a cash deposit or other security deposited in lieu of the surety bond, within one year of the date of expiration or revocation of license: PROVIDED, That no action shall be maintained upon such bond or such cash deposit or other security for any claim which has been barred by any nonclaim statute or statute of limitations of this state. Two copies of the complaint shall be served by registered or certified mail upon the director at the time the suit is started. Such service shall constitute service on the surety. The director shall transmit one of said copies of the complaint served on him to the surety within forty-eight hours after it shall have been received. The director shall maintain a record, available for public inspection, of all suits commenced under this chapter upon surety bonds, or the cash or other security deposited in lieu thereof. In the event of a judgment being entered against the deposit or security referred to in RCW 19.16.190(2), the director shall, upon receipt of a certified copy of a final judgment, pay said judgment from the amount of the deposit or security. Accounting and payments by licensee to customer. (1) Court costs recovered which were previously advanced by licensee or his or its attorney. (2) Attorney’s fees and interest or other charges incidental to the principal amount of the obligation legally and properly belonging to the licensee, if such charges are retained by the licensee after the principal amount of the obligation has been accounted for and remitted to the customer. When the net proceeds are less than ten dollars at the end of any calendar month, payments may be deferred for a period not to exceed three months. Accounting and payments by customer to licensee. Every customer of a licensee shall, within thirty days after the close of each calendar month, account and pay to his or its collection agency all sums owing to the collection agency for payments received by the customer during that calendar month on claims in the hands of the collection agency. If a customer fails to pay a licensee any sums due under this section, the licensee shall, in addition to other remedies provided by law, have the right to offset any moneys due the licensee under this section against any moneys due customer under RCW 19.16.210. Licensee — Business office — Records to be kept. (1) Every licensee required to keep and maintain records pursuant to this section, other than an out-of-state collection agency, shall establish and maintain a regular active business office in the state of Washington for the purpose of conducting his or its collection agency business. Said office must be open to the public during reasonable stated business hours, and must be managed by a resident of the state of Washington. (2) Every licensee shall keep a record of all sums collected by him or it and all disbursements made by him or it. All such records shall be kept at the business office referred to in subsection (1) of this section, unless the licensee is an out-of-state collection agency, in which case the record shall be kept at the business office listed on the licensee’s license. (3) Licensees shall maintain and preserve accounting records of collections and payments to customers for a period of four years from the date of the last entry thereon. Licensee — Trust fund account — Exception. Each licensee, other than an out-of-state collection agency, shall at all times maintain a separate bank account in this state in which all moneys collected by the licensee shall be deposited except that negotiable instruments received may be forwarded directly to a customer. Moneys received must be deposited within ten days after posting to the book of accounts. In no event shall moneys received be disposed of in any manner other than to deposit such moneys in said account or as provided in this section. The bank account shall bear some title sufficient to distinguish it from the licensee’s personal or general checking account, such as “Customer’s Trust Fund Account”. There shall be sufficient funds in said trust account at all times to pay all moneys due or owing to all customers and no disbursements shall be made from such account except to customers or to remit moneys collected from debtors on assigned claims and due licensee’s attorney or to refund over payments except that a licensee may periodically withdraw therefrom such moneys as may accrue to licensee. Any money in such trust account belonging to a licensee may be withdrawn for the purpose of transferring the same into the possession of licensee or into a personal or general account of licensee. No licensee shall receive any money from any debtor as a result of the collection of any claim until he or it shall have submitted a financial statement showing the assets and liabilities of the licensee truly reflecting that the licensee’s net worth is not less than the sum of seven thousand five hundred dollars, in cash or its equivalent, of which not less than five thousand dollars shall be deposited in a bank, available for the use of the licensee’s business. Any money so collected shall be subject to the provisions of RCW 19.16.430(2). The financial statement shall be sworn to by the licensee, if the licensee is an individual, or by a partner, officer, or manager in its behalf if the licensee is a partnership, corporation, or unincorporated association. The information contained in the financial statement shall be confidential and not a public record, but is admissible in evidence at any hearing held, or in any action instituted in a court of competent jurisdiction, pursuant to the provisions of this chapter: PROVIDED, That this section shall not apply to those persons holding a valid license issued pursuant to this chapter on July 16, 1973. (3) Publish or post or cause to be published or posted, any list of debtors commonly known as “bad debt lists” or threaten to do so. For purposes of this chapter, a “bad debt list” means any list of natural persons alleged to fail to honor their lawful debts. However, nothing herein shall be construed to prohibit a licensee from communicating to its customers or clients by means of a coded list, the existence of a check dishonored because of insufficient funds, not sufficient funds or closed account by the financial institution servicing the debtor’s checking account: PROVIDED, That the debtor’s identity is not readily apparent: PROVIDED FURTHER, That the licensee complies with the requirements of subsection (9)(e) of this section. (4) Have in his possession or make use of any badge, use a uniform of any law enforcement agency or any simulation thereof, or make any statements which might be construed as indicating an official connection with any federal, state, county, or city law enforcement agency, or any other governmental agency, while engaged in collection agency business. 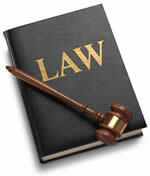 (5) Perform any act or acts, either directly or indirectly, constituting the practice of law. (7) Use any name while engaged in the making of a demand for any claim other than the name set forth on his or its current license issued hereunder. (vi) Any other charge or fee that the licensee is attempting to collect on his or its own behalf or on the behalf of a customer or assignor. (ii) The debtor has not in writing to the licensee disputed any part of the claim: PROVIDED, That the licensee or employee may only communicate the existence of a claim which has not been reduced to judgment to the debtor’s employer once unless the debtor’s employer has agreed to additional communications. (10) Threaten the debtor with impairment of his credit rating if a claim is not paid. (11) Communicate with the debtor after notification in writing from an attorney representing such debtor that all further communications relative to a claim should be addressed to the attorney: PROVIDED, That if a licensee requests in writing information from an attorney regarding such claim and the attorney does not respond within a reasonable time, the licensee may communicate directly with the debtor until he or it again receives notification in writing that an attorney is representing the debtor. (c) It is made with the debtor or spouse at his or her place of residence between the hours of 9:00 p.m. and 7:30 a.m.
(13) Communicate with the debtor through use of forms or instruments that simulate the form or appearance of judicial process, the form or appearance of government documents, or the simulation of a form or appearance of a telegraphic or emergency message. (14) Communicate with the debtor and represent or imply that the existing obligation of the debtor may be or has been increased by the addition of attorney fees, investigation fees, service fees, or any other fees or charges when in fact such fees or charges may not legally be added to the existing obligation of such debtor. (15) Threaten to take any action against the debtor which the licensee cannot legally take at the time the threat is made. (16) Send any telegram or make any telephone calls to a debtor or concerning a debt or for the purpose of demanding payment of a claim or seeking information about a debtor, for which the charges are payable by the addressee or by the person to whom the call is made. (17) In any manner convey the impression that the licensee is vouched for, bonded to or by, or is an instrumentality of the state of Washington or any agency or department thereof. (18) Collect or attempt to collect in addition to the principal amount of a claim any sum other than allowable interest, collection costs or handling fees expressly authorized by statute, and, in the case of suit, attorney’s fees and taxable court costs. A licensee may collect or attempt to collect collection costs and fees, including contingent collection fees, as authorized by a written agreement or contract, between the licensee’s client and the debtor, in the collection of a commercial claim. The amount charged to the debtor for collection services shall not exceed thirty-five percent of the commercial claim. (19) Procure from a debtor or collect or attempt to collect on any written note, contract, stipulation, promise or acknowledgment under which a debtor may be required to pay any sum other than principal, allowable interest, except as noted in subsection (18) of this section, and, in the case of suit, attorney’s fees and taxable court costs. (20) Upon notification by a debtor that the debtor disputes all debts arising from a series of dishonored checks, automated clearinghouse transactions on a demand deposit account, or other preprinted written instruments, initiate oral contact with a debtor more than one time in an attempt to collect from the debtor debts arising from the identified series of dishonored checks, automated clearinghouse transactions on a demand deposit account, or other preprinted written instruments when: (a) Within the previous one hundred eighty days, in response to the licensee’s attempt to collect the initial debt assigned to the licensee and arising from the identified series of dishonored checks, automated clearinghouse transactions on a demand deposit account, or other preprinted written instruments, the debtor in writing notified the licensee that the debtor’s checkbook or other series of preprinted written instruments was stolen or fraudulently created; (b) the licensee has received from the debtor a certified copy of a police report referencing the theft or fraudulent creation of the checkbook, automated clearinghouse transactions on a demand deposit account, or series of preprinted written instruments; (c) in the written notification to the licensee or in the police report, the debtor identified the financial institution where the account was maintained, the account number, the magnetic ink character recognition number, the full bank routing and transit number, and the check numbers of the stolen checks, automated clearinghouse transactions on a demand deposit account, or other preprinted written instruments, which check numbers included the number of the check that is the subject of the licensee’s collection efforts; (d) the debtor provides, or within the previous one hundred eighty days provided, to the licensee a legible copy of a government-issued photo identification, which contains the debtor’s signature and which was issued prior to the date of the theft or fraud identified in the police report; and (e) the debtor advised the licensee that the subject debt is disputed because the identified check, automated clearinghouse transaction on a demand deposit account, or other preprinted written instrument underlying the debt is a stolen or fraudulently created check or instrument. The licensee is not in violation of this subsection if the licensee initiates oral contact with the debtor more than one time in an attempt to collect debts arising from the identified series of dishonored checks, automated clearinghouse transactions on a demand deposit account, or other preprinted written instruments when: (i) The licensee acted in good faith and relied on their established practices and procedures for batching, recording, or packeting debtor accounts, and the licensee inadvertently initiates oral contact with the debtor in an attempt to collect debts in the identified series subsequent to the initial debt assigned to the licensee; (ii) the licensee is following up on collection of a debt assigned to the licensee, and the debtor has previously requested more information from the licensee regarding the subject debt; (iii) the debtor has notified the licensee that the debtor disputes only some, but not all the debts arising from the identified series of dishonored checks, automated clearinghouse transactions on a demand deposit account, or other preprinted written instruments, in which case the licensee shall be allowed to initiate oral contact with the debtor one time for each debt arising from the series of identified checks, automated clearinghouse transactions on a demand deposit account, or written instruments and initiate additional oral contact for those debts that the debtor acknowledges do not arise from stolen or fraudulently created checks or written instruments; (iv) the oral contact is in the context of a judicial, administrative, arbitration, mediation, or similar proceeding; or (v) the oral contact is made for the purpose of investigating, confirming, or authenticating the information received from the debtor, to provide additional information to the debtor, or to request additional information from the debtor needed by the licensee to accurately record the debtor’s information in the licensee’s records. No collection agency or out-of-state collection agency may bring or maintain an action in any court of this state involving the collection of a claim of any third party without alleging and proving that he or it is duly licensed under this chapter and has satisfied the bonding requirements hereof, if applicable: PROVIDED, That in any case where judgment is to be entered by default, it shall not be necessary for the collection agency or out-of-state collection agency to prove such matters. A copy of the current collection agency license or out-of-state collection agency license, certified by the director to be a true and correct copy of the original, shall be prima facie evidence of the licensing and bonding of such collection agency or out-of-state collection agency as required by this chapter. Presumption of validity of assignment. In any action brought by licensee to collect the claim of his or its customer, the assignment of the claim to licensee by his or its customer shall be conclusively presumed valid, if the assignment is filed in court with the complaint, unless objection is made thereto by the debtor in a written answer or in writing five days or more prior to trial. Board created — Composition of board — Qualification of members. There is hereby created a board to be known and designated as the “Washington state collection agency board”. The board shall consist of five members, one of whom shall be the director and the other four shall be appointed by the governor. The director may delegate his duties as a board member to a designee from his department. The director or his designee shall be the executive officer of the board and its chairman. At least two but no more than two members of the board shall be licensees hereunder. Each of the licensee members of the board shall be actively engaged in the collection agency business at the time of his appointment and must continue to be so engaged and continue to be licensed under this chapter during the term of his appointment or he will be deemed to have resigned his position: PROVIDED, That no individual may be a licensee member of the board unless he has been actively engaged as either an owner or executive employee or a combination of both of a collection agency business in this state for a period of not less than five years immediately prior to his appointment. No board member shall be employed by or have any interest in, directly or indirectly, as owner, partner, officer, director, agent, stockholder, or attorney, any collection agency in which any other board member is employed by or has such an interest. No member of the board other than the director or his designee shall hold any other elective or appointive state or federal office. Board — Initial members — Terms — Oath — Removal. The initial members of the board shall be named by the governor within thirty days after January 1, 1972. At the first meeting of the board, the members appointed by the governor shall determine by lot the period of time from January 1, 1972 that each of them shall serve, one for one year; one for two years; one for three years; and one for four years. In the event of a vacancy on the board, the governor shall appoint a successor for the unexpired term. Each member appointed by the governor shall qualify by taking the usual oath of a state officer, which shall be filed with the secretary of state, and each member shall hold office for the term of his appointment and until his successor is appointed and qualified. Any member of the board other than the director or his designee may be removed by the governor for neglect of duty, misconduct, malfeasance or misfeasance in office, after being given a written statement of the charges against him and sufficient opportunity to be heard thereon. Board meetings — Quorum — Effect of vacancy. The board shall meet as soon as practicable after the governor has appointed the initial members of the board. The board shall meet at least once a year and at such other times as may be necessary for the transaction of its business. The time and place of the initial meeting of the board and the annual meetings shall be at a time and place fixed by the director. Other meetings of the board shall be held upon written request of the director at a time and place designated by him, or upon the written request of any two members of the board at a time and place designated by them. A vacancy in the board membership shall not impair the right of the remaining members of the board to exercise any power or to perform any duty of the board, so long as the power is exercised or the duty performed by a quorum of the board. Board — Compensation — Reimbursement of travel expenses. Each member of the board appointed by the governor shall be compensated in accordance with RCW 43.03.240 and in addition thereto shall be reimbursed for travel expenses incurred while on official business of the board and in attending meetings thereof, in accordance with the provisions of RCW 43.03.050 and 43.03.060. Board — Territorial scope of operations. The board may meet, function and exercise its powers and perform its duties at any place within the state. Board — Immunity from suit. Members of the board shall be immune from suit in any civil action based upon an official act performed in good faith as members of such board. All records of the board shall be kept in the office of the director. Copies of all records and papers of the board, certified to be true copies by the director, shall be received in evidence in all cases with like effect as the originals. All actions by the board which require publication, or any writing shall be over the signature of the director or his designee. Additional powers and duties of board. (1) May adopt, amend, and rescind rules for its own organization and procedure and other rules as it may deem necessary in order to perform its duties under this chapter. (2) May inquire into the needs of the collection agency business, the needs of the director, and the matter of the policy of the director in administering this chapter, and make such recommendations with respect thereto as, after consideration, may be deemed important and necessary for the welfare of the state, the welfare of the public, and the welfare and progress of the collection agency business. (3) Upon request of the director, confer and advise in matters relating to the administering of this chapter. (4) May consider and make appropriate recommendations to the director in all matters referred to the board. (5) Upon request of the director, confer with and advise the director in the preparation of any rules to be adopted, amended, or repealed. (6) May assist the director in the collection of such information and data as the director may deem necessary to the proper administration of this chapter. Personal service of process outside state. Personal service of any process in an action under this chapter may be made upon any person outside the state if such person has engaged in conduct in violation of this chapter which has had the impact in this state which this chapter reprehends. Such persons shall be deemed to have thereby submitted themselves to the jurisdiction of the courts of this state within the meaning of RCW 4.28.180 and 4.28.185. A holder of an out-of-state collection agency license is deemed to have appointed the director or the director’s designee to be the licensee’s true and lawful agent upon whom may be served any legal process against that licensee arising or growing out of any violation of this chapter. The board may adopt rules, make specific decisions, orders, and rulings, including therein demands and findings, and take other necessary action for the implementation and enforcement of the board’s duties under this chapter. Copy of this chapter, rules and regulations available to licensee. On or about the first day of February in each year, the director shall cause to be made available at reasonable expense to a licensee a copy of this chapter, a copy of the current rules and regulations of the director, and board, and such other materials as the director or board prescribe. Violations — Operating agency without a license — Penalty — Return of fees or compensation. (1) Any person who knowingly operates as a collection agency or out-of-state collection agency without a license or knowingly aids and abets such violation is punishable by a fine not exceeding five hundred dollars or by imprisonment not exceeding one year or both. (2) Any person who operates as a collection agency or out-of-state collection agency in the state of Washington without a valid license issued pursuant to this chapter shall not charge or receive any fee or compensation on any moneys received or collected while operating without a license or on any moneys received or collected while operating with a license but received or collected as a result of his or its acts as a collection agency or out-of-state collection agency while not licensed hereunder. All such moneys collected or received shall be forthwith returned to the owners of the accounts on which the moneys were paid. Violations of RCW 19.16.110 and 19.16.250 are unfair and deceptive trade practices under chapter 19.86 RCW. The operation of a collection agency or out-of-state collection agency without a license as prohibited by RCW 19.16.110 and the commission by a licensee or an employee of a licensee of an act or practice prohibited by RCW 19.16.250 are declared to be unfair acts or practices or unfair methods of competition in the conduct of trade or commerce for the purpose of the application of the Consumer Protection Act found in chapter 19.86 RCW. Violation of RCW 19.16.250 — Additional penalty. If an act or practice in violation of RCW 19.16.250 is committed by a licensee or an employee of a licensee in the collection of a claim, neither the licensee, the customer of the licensee, nor any other person who may thereafter legally seek to collect on such claim shall ever be allowed to recover any interest, service charge, attorneys’ fees, collection costs, delinquency charge, or any other fees or charges otherwise legally chargeable to the debtor on such claim: PROVIDED, That any person asserting the claim may nevertheless recover from the debtor the amount of the original claim or obligation. Notwithstanding any other actions which may be brought under the laws of this state, the attorney general or the prosecuting attorney of any county within the state may bring an action in the name of the state against any person to restrain and prevent any violation of this chapter. Violations — Assurance of discontinuance — Effect. The attorney general may accept an assurance of discontinuance of any act or practice deemed in violation of this chapter from any person engaging in or who has engaged in such act or practice. Any such assurance shall be in writing and be filed with and subject to the approval of the superior court of the county in which the alleged violator resides or has his principal place of business, or in the alternative, in Thurston county. Such assurance of discontinuance shall not be considered an admission of a violation for any purpose; however, proof of failure to perform the terms of any such assurance shall constitute prima facie proof of a violation of this chapter for the purpose of securing an injunction as provided for in RCW 19.16.460: PROVIDED, That after commencement of any action by a prosecuting attorney, as provided therein, the attorney general may not accept an assurance of discontinuance without the consent of said prosecuting attorney. Violation of injunction — Civil penalty. Public bodies may retain collection agencies to collect public debts — Fees. (1)(a) Agencies, departments, taxing districts, political subdivisions of the state, counties, and cities may retain, by written contract, collection agencies licensed under this chapter for the purpose of collecting public debts owed by any person, including any restitution that is being collected on behalf of a crime victim. (b) Any governmental entity as described in (a) of this subsection using a collection agency may add a reasonable fee, payable by the debtor, to the outstanding debt for the collection agency fee incurred or to be incurred. The amount to be paid for collection services shall be left to the agreement of the governmental entity and its collection agency or agencies, but a contingent fee of up to fifty percent of the first one hundred thousand dollars of the unpaid debt per account and up to thirty-five percent of the unpaid debt over one hundred thousand dollars per account is reasonable, and a minimum fee of the full amount of the debt up to one hundred dollars per account is reasonable. Any fee agreement entered into by a governmental entity is presumptively reasonable. (2) No debt may be assigned to a collection agency unless (a) there has been an attempt to advise the debtor (i) of the existence of the debt and (ii) that the debt may be assigned to a collection agency for collection if the debt is not paid, and (b) at least thirty days have elapsed from the time notice was attempted. (3) Collection agencies assigned debts under this section shall have only those remedies and powers which would be available to them as assignees of private creditors. (4) For purposes of this section, the term debt shall include fines and other debts, including the fee required under subsection (1)(b) of this section. Provisions cumulative — Violation of RCW 19.16.250 deemed civil. The provisions of this chapter shall be cumulative and nonexclusive and shall not affect any other remedy available at law: PROVIDED, That the violation of RCW 19.16.250 shall be construed as exclusively civil and not penal in nature. Severability — 1971 ex.s. c 253. If any section or provision of this act shall be adjudged to be invalid or unconstitutional such adjudication shall not affect the validity of the act as a whole, or any section, provisions, or part thereof not adjudged invalid or unconstitutional. Provisions exclusive — Authority of political subdivisions to levy business and occupation taxes not affected. (1) The provisions of this chapter relating to the licensing and regulation of collection agencies and out-of-state collection agencies shall be exclusive and no county, city, or other political subdivision of this state shall enact any laws or rules and regulations licensing or regulating collection agencies. (2) This section shall not be construed to prevent a political subdivision of this state from levying a business and occupation tax upon collection agencies or out-of-state collection agencies maintaining an office within that political subdivision if a business and occupation tax is levied by it upon other types of businesses within its boundaries. Effective date — 1971 ex.s. c 253. This act shall become effective January 1, 1972. This chapter shall be known and may be cited as the “Collection Agency Act”. Section headings used in this chapter shall not constitute any part of the law. Knowing and abiding to the proper Washington debt collection laws is important for both creditors and collection agencies alike. There are debtor’s rights attorneys who are just waiting for creditors or collection agencies to slip up. If you mistakenly violate the Washington debt collection laws, you could create a liability for your business and even open yourself up to a expensive lawsuit. Please note: Washington debt collection laws can change over time, and you need to consult with an attorney before you use this information.